Have you ever given much thought to the "People Talking About This" metric for Facebook pages? Not a lot of people know what it is exactly, and I don't blame them. This metric looks shaky and inaccurate at best - changing all the time. But there's a lot more to it than meets the eye. It sounds like it calculates the mentions of a topic across the social network, but in reality, the metric only counts direct interactions with a page. Knowing about this metric, and knowing what type of activity increases it, can improve your Facebook marketing efforts by reaching out to your extended circles. So what exactly are people talking about? The 'People Talking About It' (PTAI) metric is the number of unique users who interact with a page by creating a 'story' about it over a seven-day period. A Facebook story can be anything that shows up in your Newsfeed. This includes liking a page or a post, posting on a wall, commenting on a post/status/photo, answering a question, RSVP-ing to an event, checking in a place, claiming an offer, and so on. A story only counts towards the metric if it's related to page. A check-in counts, but a mere status doesn't, as long as a user doesn't tag a page - in which case it does. Also note that the "People" Talking About It is the unique number of people interacting with your page. So no matter how many stories a person makes, it will still count as one. It is important to remember that PTAI is also effected by actions taken by friends of fans. So when a fan shares your page's post, any subsequent interactions on the shared post by a fan's friends also count. How to improve your page's PTAI count? The PTAI is an important metric to monitor how active your fans are, and how well are they interacting with your page. It tells you more about a page than a Like does, because a like is a one-time thing - PTAI is recurring.. Pages that create posts that fans enjoy will benefit. When people interact with pages in ways that generate stories, pages reach an audience beyond their existing fan base. In this post, we'll discuss some strategies that will help you increase your page's PTAI. First of all, recall that the PTAI metric is measured over a seven-day period. This means that you might have had a hell of a week on Facebook, scooped up tonnes of likes, and bagged a decent PTAI count. But it'll all be gone next week unless you do something about it! Getting fans is hard, yes. But keeping them is harder still. So don't combust all of your energy in one week - preserve it to last through the month. You don't want to speed off right from the start of a marathon - you'll tire out in the middle and lose the race. What this means is, keep the ideas coming, and update your page on a regular basis. OK so now that you've decided to ease up on the revs, it's probably a good idea to gear up instead of letting go of the gas. In order to keep your fans engaged, you need to provide them with a lot of content. A typical Facebooker goes through dozens of stories in a day on the newsfeed (addicts go through hundreds). It doesn't help you if they see something from your page after a week, which is after hundreds of other stories. Make sure you update your page many times in a week, preferably once a day, in order to remind your fans that you're still alive! Always share different types of content to keep things interesting. You may post a funny picture one day, and ask a question the next, then you could post a quote or a did-you-know kind of post with no links in it. Generally speaking, content with short text, accompanied with an image tends to perform well. But hey, whoever said you couldn't experiment! The description you write holds a huge importance for whether or not people will click on your link, like your story or leave a comment. You can be as direct as saying “Like if you agree” when you post a quote for instance, or you could say something along the lines of “I would appreciate to hear your thoughts!”. Anything that will get the users to do something! They may not be an indicator of how well can you do something, but they sure tell you what you can do. Likes still remain one of the most important metrics for calculating a page's value. The broader you build the pyramid, the higher up you can go. Which is to say that the more likes you have, the more your chances of increasing the PTAI count for your page. 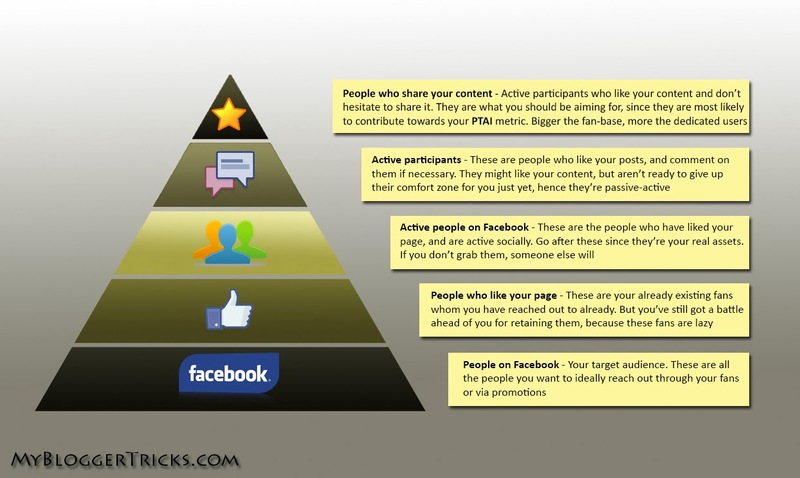 Take a look at what I like to call the Facebook Page Pyramid. You can find any number of tips for increasing Facebook likes - use them. From adding like buttons to your blog posts to linking the like button to Facebook Page like, there are tonnes of strategies that can help you increase your fan-base, and hence, your PTAI by extension. This remains, to date, probably the most effective way of increasing your PTAI Encourage your fans to comment on your posts, because comments indicate a greater level of involvement than Likes (again, see the Pyramid! ), and are also likely to propagate greater viral reach – people’s friends are more likely to notice them and either like or comment on the comments, spreading the word about your brand as they do so. It couldn't hurt to talk about your fans, or thanking them for liking your page, and so on. Shares are the best way to get your content viral. People see when their friends are sharing something from your page, and they, more often than not, like to check it out (provided it's interesting of course!). Include a call to action as we discussed above, so that anyone who checks out a share might leave a trace in the form of a like, a comment, a share, or a click on a link to your website. Answering a question on Facebook is as simple as clicking a button, which is why people engage more with questions than they do with comments. Answers to questions also contribute towards your PTAI figure. Make sure you ask an interesting every now and then to keep people engaged. People don't usually expect you, as a page, to answer or reply to them in the comments on any post. You might have more important things to do after all. But unless those things include disassembling a time bomb, you better answer to your readers. The great thing about photos is, they stay. Posts get old and forgotten, and you actually have to dig them up. But photos are always there for the viewing in the form of a gallery, right there on the surface for anyone to see. If you tag your own page on a photo, then anyone who sees that photo gets to see your brand name too, and is likely to follow. We're stepping into uncharted waters here, so bear with me on this one. If you think your fans might be interested in a photo, or a new post, then tagging them can get your content beyond your normal reach. Their friends will see the tags, and will likely investigate. There's one problem though: people don't usually take kindly to tags to being made in their name without their knowing. So tag only those fans who are active on your page, and whom you know will likely be interested. Otherwise, you run the risk of getting blocked, so tread carefully! Creating events can also increase your PTAI. When people RSVP to an event on your page, it is considered as a 'story'. An RSVP is again as easy as answering a question. Interested parties would readily RSVP to your event, should you create one. And this goes on to show that fans are actually willing to engage with your brand. Besides, there's always the chance that they'll invite their friends. And all the anticipation, participation, and conclusion, all of that stuff will most likely be posted on Facebook too by the event-goers. Besides, it's a great way to connect with your audience. Physical locations can have a powerful effect on your fans. They feel they can genuinely connect with your brand. This is why people make check-in and tag locations to let their friends know where they've been. 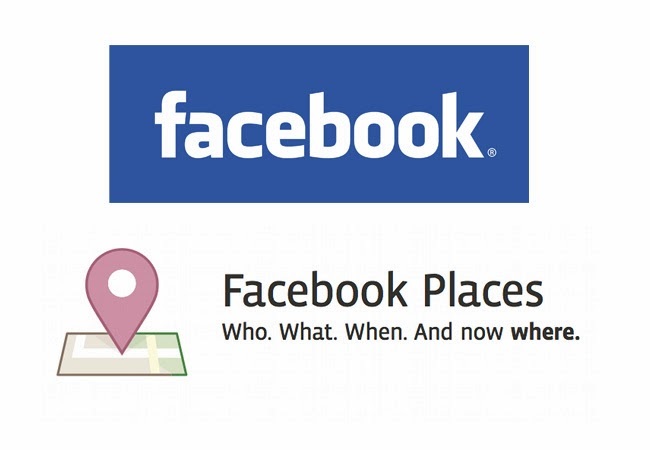 If you have a physical location, then you can benefit hugely from having a Facebook Place. When people find that place, not only do they get a chance to check in and contribute directly to the PTAI, they also get to know more about your brand, and know that you're socially active, and that you actually care about your customers. 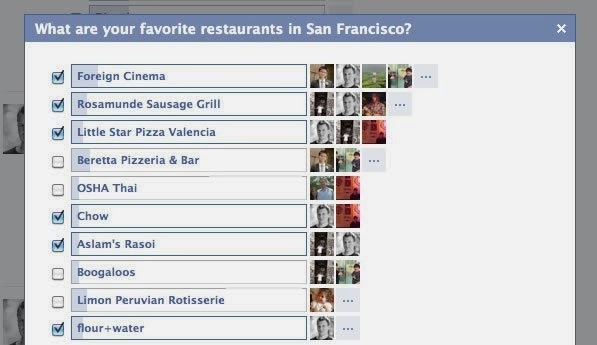 Facebook lets you write a recommendation when you like certain ‘local’ Facebook pages. Typically people will recommend the service that the page represents rather than the page itself, though as internet commerce becomes increasingly non-geographical we can expect that to change. Not only is a recommendation great in itself, but it creates greater virality: now prospective customers are researching what previous customers have to say about your service and being led to your page in the process. So you can write a recommendation for your own place, or ask your friends to do so - it's a great way to bag some new customers. Great ways to increase Facebook Fanpage Talkings. How to Increase Facebook Fanpage Likes Rapidly? Awesome article qasim...Now i will use this tricks to increase Fanpage Talking. Thanks for sharing this awesome article.. Very effective tips. I always follow these types of rules for my Facebook fan page. This is a really helpful post. The challenge is being able to maintain the frequency of posting and interaction without tiring out. Bro, I need your suggestion, I have a blog which is 2 months old but still i am not getting traffic. the blog is about jobs in pakistan and already done SEO. really helpful article, thank you for sharing ideas.